What are people saying who have experienced the best Pittsburgh laser hair removal service? In this article, you will learn why we at Happel Laser are the best Pittsburgh last hair removal office. Anyone can claim to be the best. We can back it up. The following six points will define how we are different. The secret to providing laser hair removal is to provide superior results at a fair price. That does not involve preying on some people’s greed using slick marketing tactics. We provide superior results at a reasonable price. Advertising heavily does not prove that you are the best. We don’t advertise. Beware of those continual ads that promise more than they can deliver. We are putting it all on the line with our claim of being the best Pittsburgh laser hair removal office. We put something of great value on the line. Our reputation is our most valuable asset. The Happel name and reputation is respected in our community. That is the reason that we receive so many referrals from doctors in our area. Every day we put our reputation on the line. It’s like placing a bet that we can satisfy your expectations and essentially, “Prove it!” We are proud of our reputation as the best Pittsburgh laser hair removal office. Instead of making just making claims, I would like to express what our patients have publicly written. Here is a sampling of the actual last five recommendations written on the internet made about Happel Laser. We aren’t just cherry picking the highest recommendations either. Check out all of our reviews on the internet. Read our Yelp reviews. Check out all of our other reviews by clicking here. These are the last few representative examples. #1 A positive life changing experience! #2 Anyone who has doubt, please visit for the free consult, they will help change your life! Even though I’ve recently moved 2 hours away, I will forever be a client of this office. #3 The procedure is quick and effective. I highly recommend it! #4 It became quite apparent while researching that many people end up having issues with Dr. Happel’s competitors, be it the contracts that they get locked into at these other places or not getting the results that those contracts promise. #5 There are no up-front costs or contracts; you get to pay as you go. The procedure is very quick. The laser is a medical device. Lasers should only be used in a medical office. Please do research on the burns, scars and complications that occur when laser hair removal is done at a spa or medi spa without direct doctor supervision. Do not assume that there is a doctor on site. Other laser hair removal offices in Pittsburgh cannot guarantee this essential requirement. Our competitors use shady marketing tactics to victimize people. They depend on some people’s greed. Their clients finally learn the truth the hard way. Advertising does not play any part in our success. Our patients are self-referred through word-of-mouth. Beware of continual advertisements that promise more than they can deliver. Do some research to learn the advertising and sales tactics used by other Pittsburgh laser hair removal spas medi spas and the national laser chains. Within the past year, one of the biggest national laser hair removal chains went out of business. Trusting clients lost thousands of dollars each on prepaid contracts. The following statements describe places that advertise and sell contracts. “This American Laser Skincare place is a scam.” Other words used in these reviews are fraud and rip-off. Laser hair removal patients say that the chains will lie about actual results to get you to buy packages. Often their clients say, if I didn’t have prepaid treatments in my package left, I would never come back. People feel obligated to return only because they bought a package and are “locked in”. At Happel Laser, we don’t offer expensive and risky contracts. You pay as you go. That saves you money and is less hazardous for you. Eventually, these places go out of business because of these sorts of tactics are unethical. Word-of-mouth and the truth finally prevail. Just do a Google search for American Laser Skincare to see for yourself. They had an office in Pittsburgh. This huge chain simply closed its doors without warning. This left all of their customers in the lurch. The goal of this article is to keep you from getting hurt both physically and financially. Usually people considering laser hair removal mainly look mainly at the price. Laser hair removal offices that use the tactic of “50 to 75% off” are hard to resist. Off of what? The answer is off a heavily front loaded and escalated price. It’s only later after you’ve signed a legally binding contract that you learn that the so-called “huge” discount is a sham. The final cost is actually very overpriced. Comparison shop to find the best price. The secret to providing the best laser hair removal service is the same as with any other medical service. That simply means giving you quality and safety at a fair price. As a respected medical office, we don’t believe in expensive financing or offering you a credit card. That’s what you will get at other laser offices in Pittsburgh. 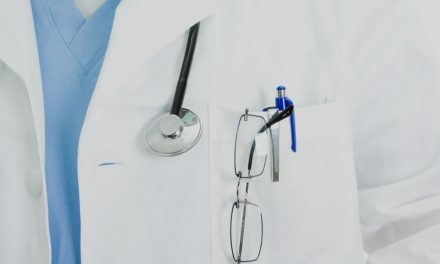 What respectable medical office finances medical procedures and charges you interest? Does that sound right to you? We are a traditional medical office. There is no corporate or legal department involved like with the national laser hair removal chains. The buck stops with Dr. Happel. We strive to earn your trust at Happel Laser. We really do practice what we preach and we back it up. That is why we can claim to be the best Pittsburgh laser hair removal office. Contact us here or call us at 724-969-0600 to learn more. 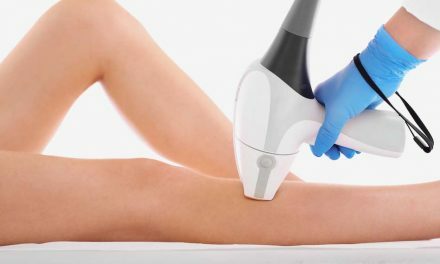 How Much Does It Cost for Laser Hair Removal of Legs in Pittsburgh?